The Hairapeutix Hair Extensions Brush is specifically designed to tame and maintain hair extensions. 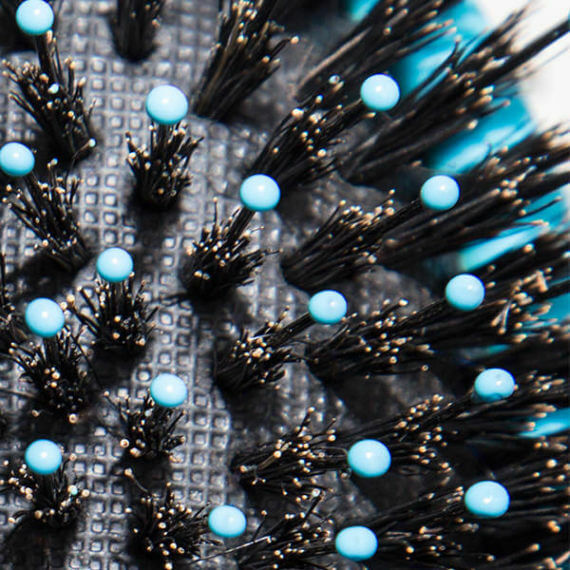 When it comes to hair extensions, a single bristle hairbrush isn’t always enough. Hair extensions are often longer and more delicate than your natural hair and therefore, demand more from your styling tools. 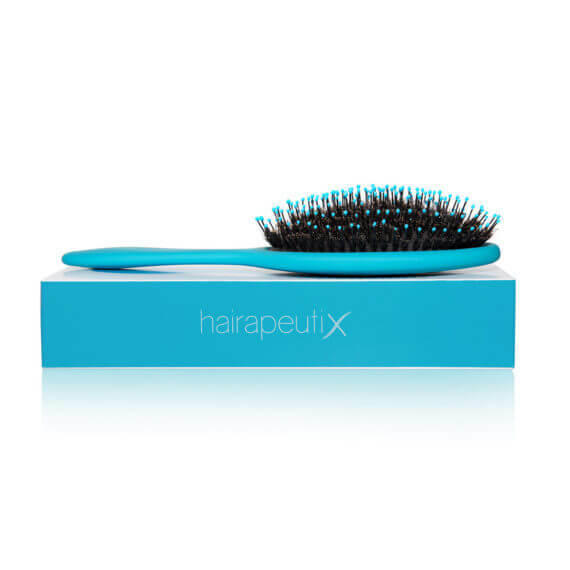 With its unique two bristle design, the Hairapeutix Hair Extensions Brush enables you to detangle, style and safely maintain your hair extensions, increasing the longevity of your locks. 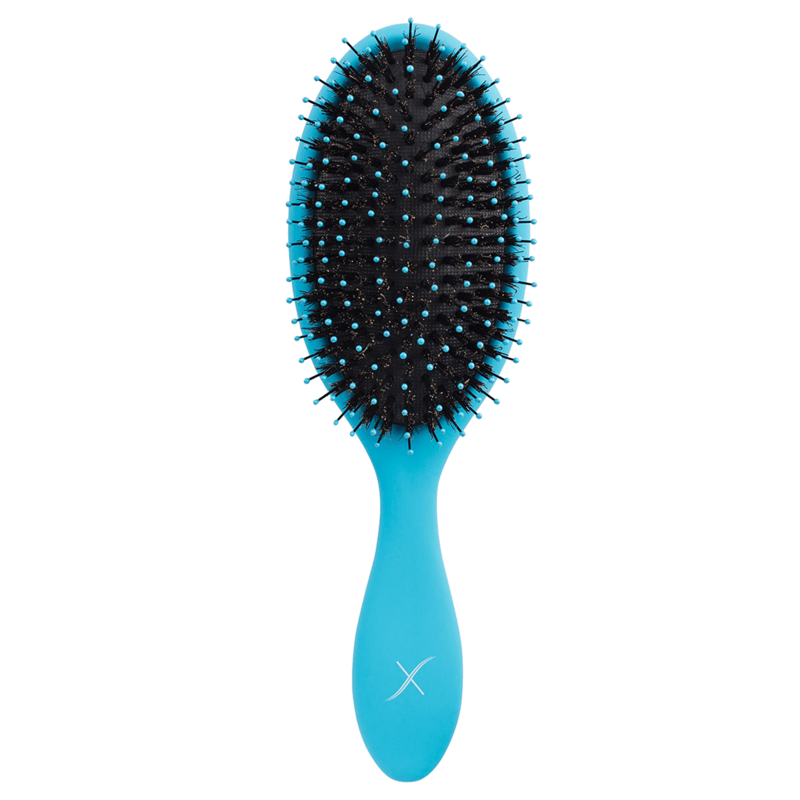 Hair extensions demand extra care which is why the Hairapeutix Hairbrush utilises two types of bristles; boar bristles and round head bristles. Boar bristles are most commonly used for styling and smoothing, whilst the round head bristles are created for gently removing knots. This is the perfect combination when it comes to managing and maintaining your hair extensions without tugging. 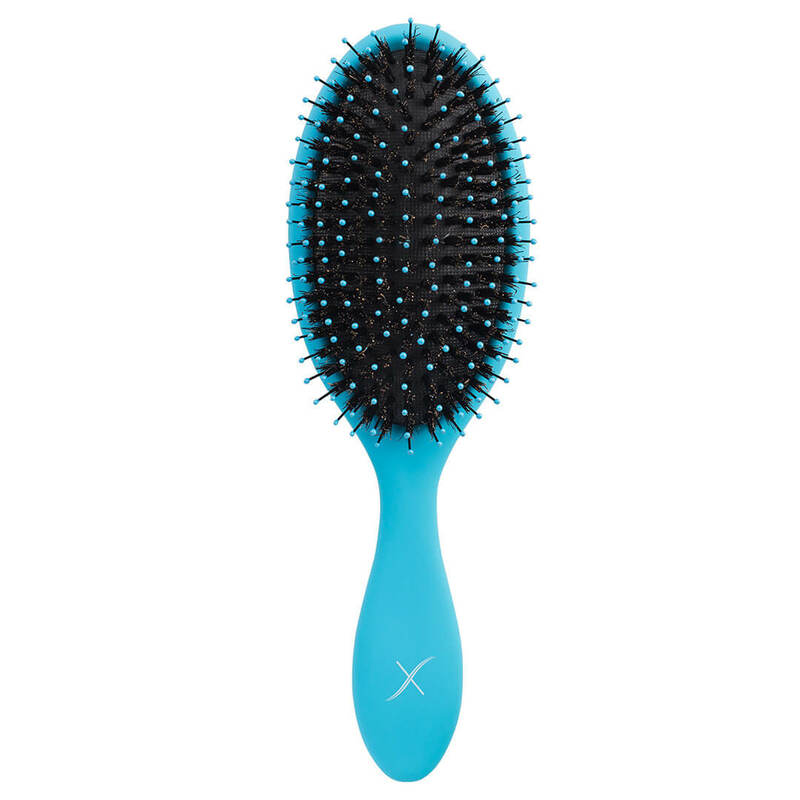 The Hairapeuitx Hairbrush is suitable for all types of human hair extensions. 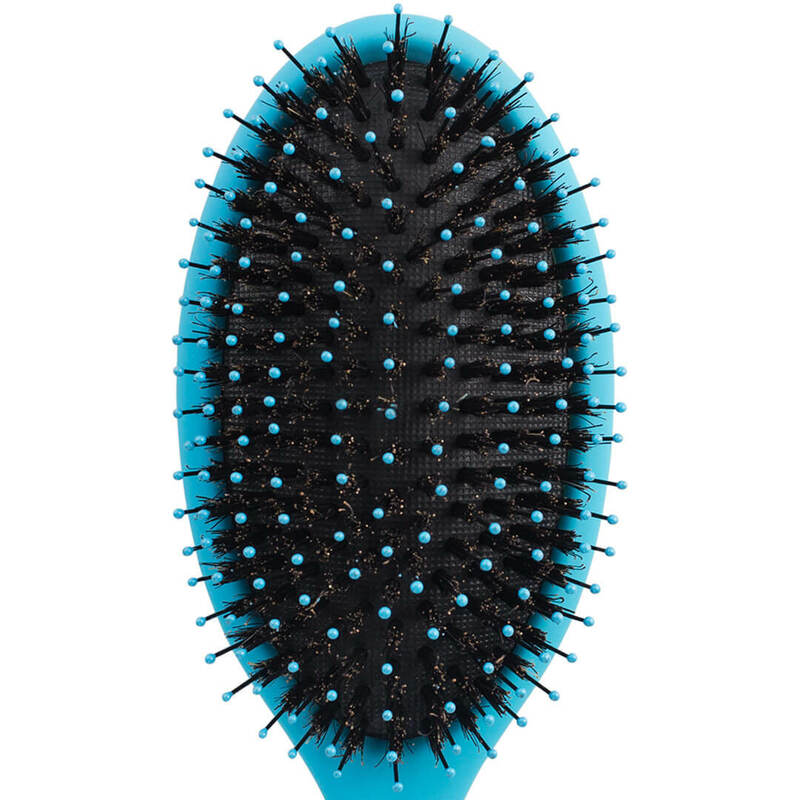 Whatever the type or brand of extensions you wear, this hairbrush is going to be your hair extensions’ holy grail. We recommend stocking up on a few to pop in your travel bags and beauty kits to get you out of any #badhairday mishaps. Our non-slip, luxuriously curved handle has been specifically designed to work alongside your styling routine. 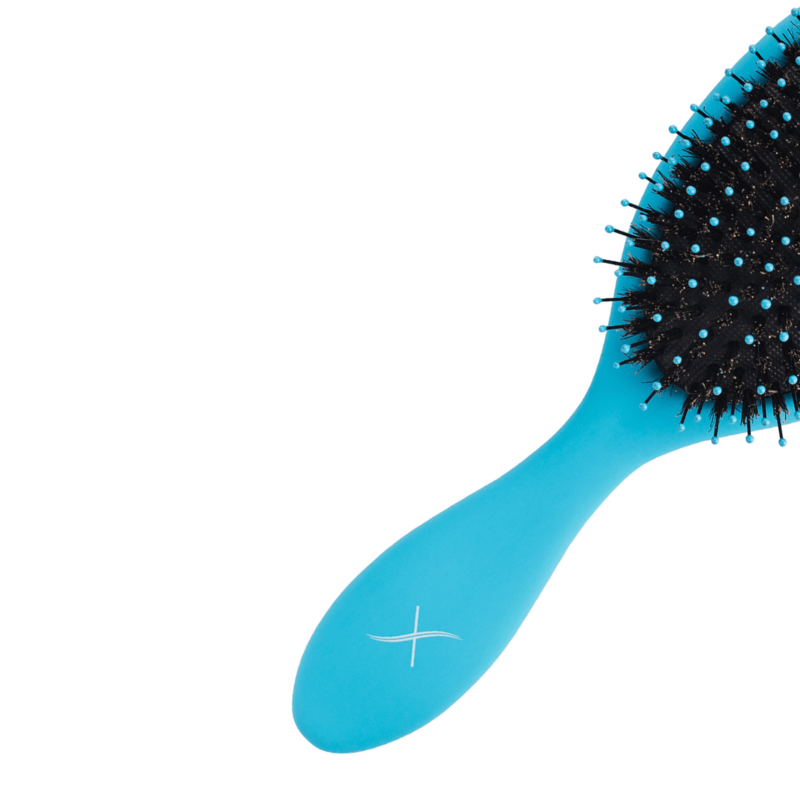 Giving you an easy and comfortable grip, this hairbrush has curves in all the right places.